When Apple decided to introduce their latest slimmer and quicker second generation iPad2 tablet PC earlier this year, they had already sold over 15.1 million of their original Apple iPad worldwide. That’s Fifteen Million units kids! And these go for a retail of around $600 or more a pop, and all this in just under a year. Also during this time, the world economy was pretty much stagnant or in decline and going through one of its worst economic droughts since the late 1920s when the stock market crashed. Consumers from all corners of the globe has absolutely embraced Apple’s magical like thin square flat mobile device a lot more quicker than they did the iPhone, which also happened to set a record for reaching the quickest “million” units sold, the iPad actually beat that. So this iPad tablet is clearly far more than just a technology fad as it’s now also a cultural as well as a social phenomenon. And its complete impact most likely is yet to be fully felt. 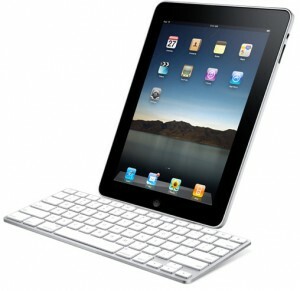 The iPad craze has encompassed absolutely every single field of endeavor and enterprise. The iPad is now actively adopted by business and industry, the arts and entertainment sectors, science as well as the medical field, education and even interactive gaming. There are only a small percentage of the entire connected population on the planet who hasn’t tried out an iPad, and even those diehard dedicated PC skeptics has confessed that they are intrigued by the movement. There are those who has become so attached to their iPads that they have actually rid of their trusty laptops, cancelled their “Book Club of the month,” along with their newspaper and magazine subscriptions. The iPad is capable of replacing all of these. The success of the iPad, especially since it also doubles as as an ebook reader, may be actually threatening the entire print book publishing industry. The sales of virtual e-book versions of hard-copy books has now overtaking sales for a while now. Then there’s also the increasing popularity of streaming online video which includes television as well as movie aggregation services. All of these streaming sites such as Nexflix, now offer iPad apps. This is a direct threat to all of the traditional methods of television as well as movie viewing. Those who own the iPad are now actually abandoning some of their traditional Pay-TV based services in favor of the convenience of streaming video on their tablet screens. This is just a tiny sampling of how the Apple iPad has and is possible of affecting each and all of the different factions of our daily lives, all this in just the first year of introduction. Apple’s App Store for the iPad now lists close to 70000 native apps. These are the apps which were developed or enhanced so they can take full advantage of the iPad’s much larger screen as well as their other attributes. These apps now cover absolutely every imaginable function that you can think of to improve, enrich or add enjoyment to your life, as well as some which you would never imagine. One app in particular allows you to use the iPad as a remote control device as well as a viewfinder when using your SLR digital camera. There’s another one called Confession, which is approved by the “church” by the way, where it allows Roman Catholics to be able to confess online through their iPads. So the tag line that Apple uses in some of their ad campaigns rings absolutely true, “there is an app for that.” This is the case for the iPad, as it’s pretty obvious that any tablet PC that’s available on the market is pretty much good as the apps that are available for it. If there isn’t a specific app for any and every purpose that you do in your life, then someone will eventually develop one sooner than later. What Are The Biggest Concerns Regarding Cloud-Based Computing Solutions?